Bach Studies (Part 1) is the latest work from L.A. Dance Project's Artistic Director, Benjamin Millepied. Inspired by the depth and complexity of Johann Sebastian Bach's music, Millepied explores the Partita for Violin No. 2 in D Minor by applying the compositional techniques of counterpoint, fugue, and canon to choreography. Featuring costumes by long-time LADP collaborator, Alessandro Sartori, Bach Studies (Part 1) masterfully translates music into movement, resulting in a work that is at once technically sophisticated, delicate and emotionally compelling. RUN FROM ME is an exploration of duality, contrasting energies, and emotional impulses. Extreme polarities are expressed not only in two conflicting bodies, but also in the contradictory aspects of a single person. It is a timeless predicament; who are we when we strive to be something or someone new? Where does our current ‘self’ go in the process? RUN FROM ME uncovers the loneliness and unease that is at the core of our desires. It imagines these aspects as an essential galvanizing force that keeps us moving forward in a brief and luminous expression of aliveness. 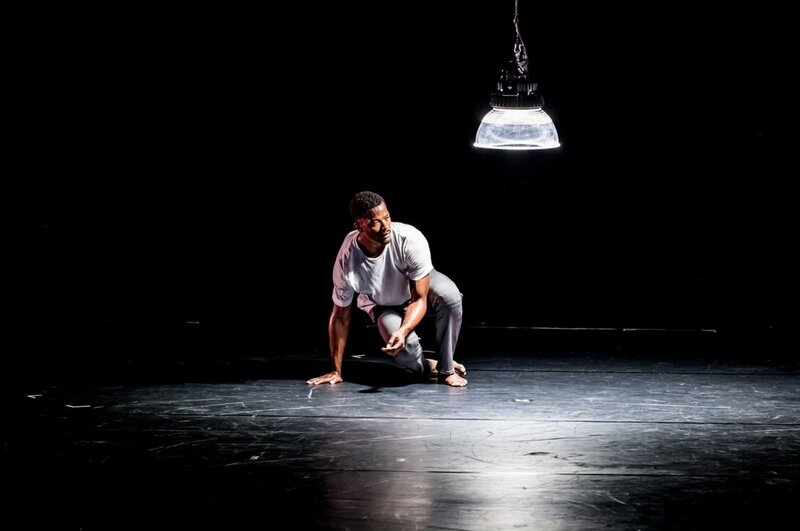 Created in close collaboration with LADP Company dancers, Chapter Song is a series of constantly shifting vignettes that explore the textures and sensations of transition. Set to an eclectic playlist, the sonic experience of Chapter Song aims to disrupt expectations and juxtapose the serious with the comedic - the public with the personal. Much like the changing of channels, this dynamic work moves quickly allowing for unexpected connections and discovery. Hailed as one of the world’s preeminent contemporary choreographers, Ohad Naharin’s work is quite distinct and is imbued with his own innovative movement language called “Gaga.” Gaga employs dancers’ capacity for physical hyperawareness to experiment with various concepts of gesture, friction, release, tension, timing, gravity, and connectivity to produce multi-dimensional, instinctive movement. Yag was created in 1996 by Ohad Naharin for Batsheva Dance Company which has been under his artistic direction since 1990. The relationships between the six dancers on stage in Yag are gradually revealed through the work’s deft storytelling through dance, speech, and visual symbolism. As the ballet’s intriguing narrative progresses, the audience is left to interpret the family dynamics at play, informed by the work’s audacious, curious, and imaginative staging. 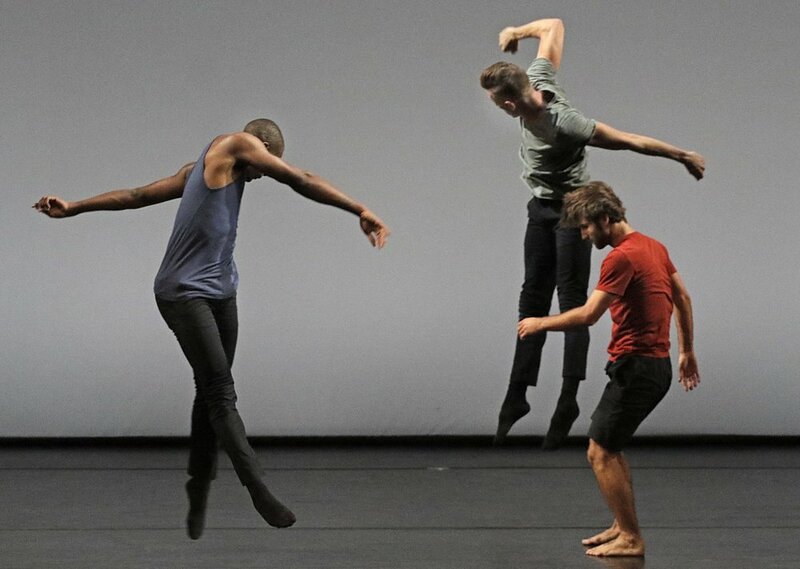 Per choreographer Noé Soulier, the movements present in his Second Quartet are not immediately recognizable. Rather, they are motivated by concrete goals—such as avoiding, striking, throwing, pushing, and resisting—but impeded through the use of specific strategies. The targeted objects are not present, or body parts used during the movements are ill-suited for their goals. For example, a dancer may hit an imaginary object or attempt to push another dancer with his throat or rib cage. Without the spectator having to recognize the motivations behind these incomplete movements, they are intended to stimulate his or her own physical memory by appearing directed or defined by something that is invisible. This openness allows images, physical expectations, and other associations to inform the spectator’s perception of the movement itself. “The Martha Graham Duets” entered LADP’s repertory in 2016 and celebrates one of the 20th century’s most influential choreographers, juxtaposing three distinct pas de deux from larger Graham works—Diversion of Angels and Canticle for Innocent Comedians—first presented in 1948 and 1952, respectively. The first pas de deux is inspired by the “White Duet” from Diversion of Angels, a ballet widely considered to be the choreographer’s ode to love. Set against piano music by Cameron McCash featured in the soundtrack of the 1957 documentary film A Dancer’s World, the “White Duet” communicates profound intimacy through Graham’s signature purity of form. The second and third duets, titled “Stars” and “Moon,” are rarely staged and are, in fact, the only surviving sections of Canticle for Innocent Comedians whose remaining choreography is thought to be lost. While “Stars” gives off a playful energy through Graham’s finely sculpted partnering, “Moon” remains more ethereal as the dancers yield to the piece’s wonderfully poetic and hypnotic core. Orpheus Highway premiered in June 2017 at The Joyce Theater in New York. This ballet explores the tragic love story of its eponymous mythological protagonist through an intricate juxtaposition of film and live dance performance, directed and choreographed by Benjamin Millepied. Nine dancers on stage echo and riff against a commanding cinematic backdrop in which they also star as Steve Reich’s suspended and strident Triple Quartet propels the work toward its dramatic conclusion. Helix was commissioned by L.A. Dance Project in 2014 and premiered at the Los Angeles Music Center’s 50th anniversary gala. Set to an alluring score by Finnish conductor/composer Esa-Pekka Salonen, the ballet employs six dancers in a dynamic exploration of geometry and motion. The dancers’ slate gray unitards paired with electric blue socks (designed by Rehearsal Director Janie Taylor) lift the piece out of time, place, and narrative, accentuating the cerebral quality of the choreography as the music’s rising urgency surges through fluid pas de deux and syncopated ensemble dancing to a striking finale. On the Other Side premiered in 2016 and is the third installment of Benjamin Millepied’s “Gems” trilogy, a collaboration between L.A. Dance Project and Van Cleef & Arpels. (The two other ballets completing this trilogy are Hearts and Arrows, inspired by diamonds and the idea of light, and Reflections, inspired by the energy of rubies.) Millepied has described this trilogy of ballets as “an emotional journey” with “a strong and hopeful sense of lasting love and community amidst the uncertainty in which we live.” On the Other Side, inspired by emeralds, is set to a suite of piano études by Philip Glass with jewel-tone velvet costumes by designer Alessandro Sartori and a remarkable set by Los Angeles artist Mark Bradford. The piece’s eight dancers ebb and flow naturally between ensemble dancing, pas de deux, solos, and groups of three or four, sustaining Millepied’s high lyricism and emotional momentum through to the ballet’s pensive conclusion.